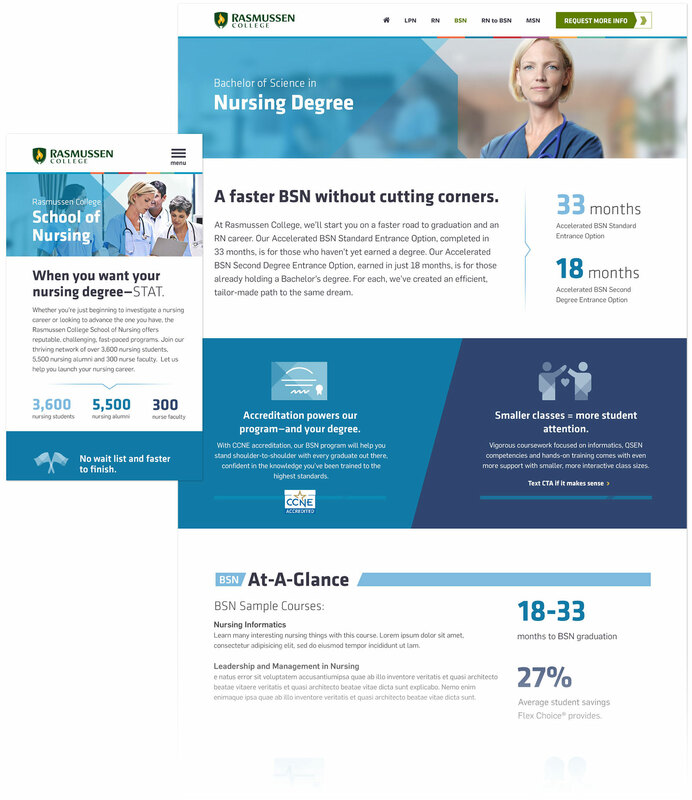 Rasmussen College was in need of a redesign and refactoring of code and what better time that during a creative refresh of their brand as well. 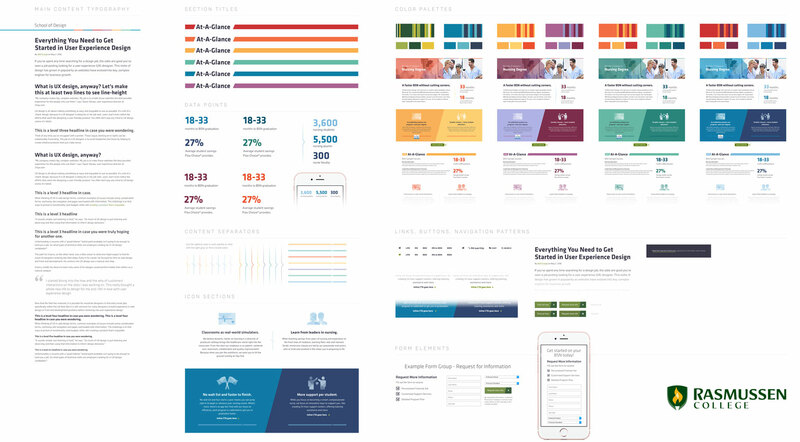 During this process I was involved in research, creating archetypes, style tiles, and element collages to represent some of the digital marketing materials necessary for the roll out. To test the new look, we wanted to lauch first on a microsite used specifically to speak to prospective students for each area of study. Here is a screenshot of a page template I designed for this project.